You'll read all over the internet and see on various TV decorating shows the advice to "shop your house" first when pondering a new look for an area in your home. Until I started reading blogs and seeing how much fun and rewarding it could be to "repurpose" something in my own home, I would have much rather just shelled out the cash for a new pillow, new desk, new picture frame, you name it. 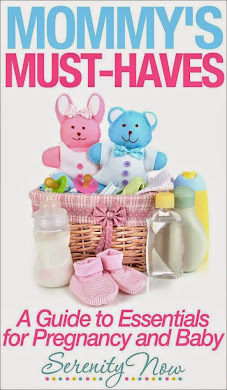 Having two little ones at home and living on one income certainly forces you to get creative with what you have! I rarely watch Oprah anymore unless it's a show with a home makeover, Nate Berkus, something really fun and creative, Nate Berkus, a light-hearted theme, and did I mention Nate Berkus? A recent episode featured the h-o-t designer redoing several couple's homes with a budget, which he's never had to do before. My ears perked up when he mentioned that true creativity is born out of having obstacles and boundaries that you have to overcome. The rooms he designed on that show were cute, and he looked like he had a blast using what the families already owned and shopping at *real* stores such as Target, like the rest of of us do. I find myself reevaluating many of the pieces in my home that I not too long ago considered dumping at Salvation Army the second we could afford something "better." Thanks to gleaning so many fabulous ideas from the blog world, I see things in my home with a new eye. The piece I am sharing today is one I remade when I was pregnant with Natalie, but I am still proud of it! You can see the icky laminate chest of drawers in the right corner of the picture. Sorry, it's the only one I have! This was a quick buy at Wal-Mart, I think, when I was in college. 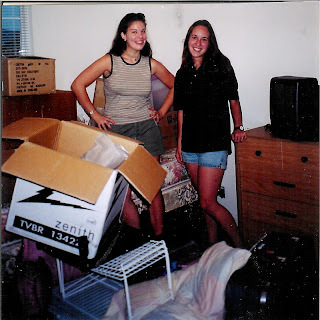 That's me on the left, moving in to my room in the townhome I lived in with some friends. I was clearly more concerned with finding cool things to sticky-tack on my walls and what I would wear to the sorority girls' party next door than making my room a well-designed space. Hence the ugly, serviceable, Wal-Mart chest of drawers. Eh, it was just okay. Like many first time moms, I had nothing to do with my time other than prepare for Natalie's arrival (oh, how times have changed!). I spent hours nesting in that room. I knew I needed another storage solution for her room because even though she wasn't born yet, she already had more clothes than me. Rather than waste a bunch of space at the bottom of the closet, I decided to move the aforementioned hideous chest of drawers in there. Gasp! 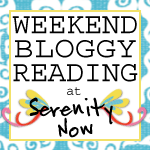 I couldn't let my baby peer out of her crib at something so monstrous, could I? So I used some primer, some of the leftover paint from her walls, a stencil I had laying around, and this is what I came up with! Added a few cheap-o white drawer pulls from Wallworld or Target, and voila! I primed and painted right over that old laminate, and while it took about 6543 coats, it has held up well for three years. Take a look around your house. Is there a piece of furniture that could be given new life with some scrapbook paper or some paint? Shopping your house can be fun, and talk about Thrifty! I know I'm still "shopping!" That is the sweetest little dresser. And I never would have guessed it's humble/hideous roots! I think you did a fantastic job. I LOVE, LOVE, LOVE shopping my house (and various realtives) for old "junk" to repurpose and make pretty! Can't wait to see the desk you're waiting ever so patiently to redo. That blasted Mother Nature! That would be RELATIVES...not realtives. Hey Amanda! That chest of drawers came out so adorable! What an amazing transformation! I love to shop my house all the time! It's so much fun! Wow, from blech to adorable!!! That's quite cute, girl. That dresser turned out soooo cute! My hubby recently painted some old tables white for my daughter's room and they turned out cute too! Wow, you did an amazing job with that dresser! I love the pink and green fleur de lys!! It looks fabulous! I'm like you, I never realized the potential in my junk until I started being inspired by so many creative ladies in blog land! Oh it's adorable!! This is fantastic. Spend Less Saturday: Date Night Ideas! Spend Less Saturday: Girls' Night Out!